Rigaku Corporation, a global leader in X-ray analytical instrumentation, will be presenting its diverse lines of X-ray analytical instrumentation at the 2016 Denver X-ray Conference® (DXC 2016). The 65th Annual Conference on Applications of X-ray Analysis will take place Monday, August 1, 2016 through Friday, August 5, 2016 at the Westin O’Hare Hotel in Rosemont, Illinois, USA. Rigaku will be exhibiting its diverse range of X-ray diffraction (XRD) and X-ray fluorescence (XRF) instrumentation in the South Foyer at Booth numbers 39, 40, 41, 42. On display will be the Rigaku SmartLab intelligent X-ray diffraction (XRD) system, a multi-purpose, high-resolution diffractometer. 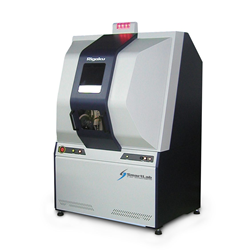 The SmartLab® system is designed for all XRD applications, from powder and thin film diffraction to SAXS and in-plane scattering. The SmartLab Guidance software provides an intelligent interface that guides users through each experiment. 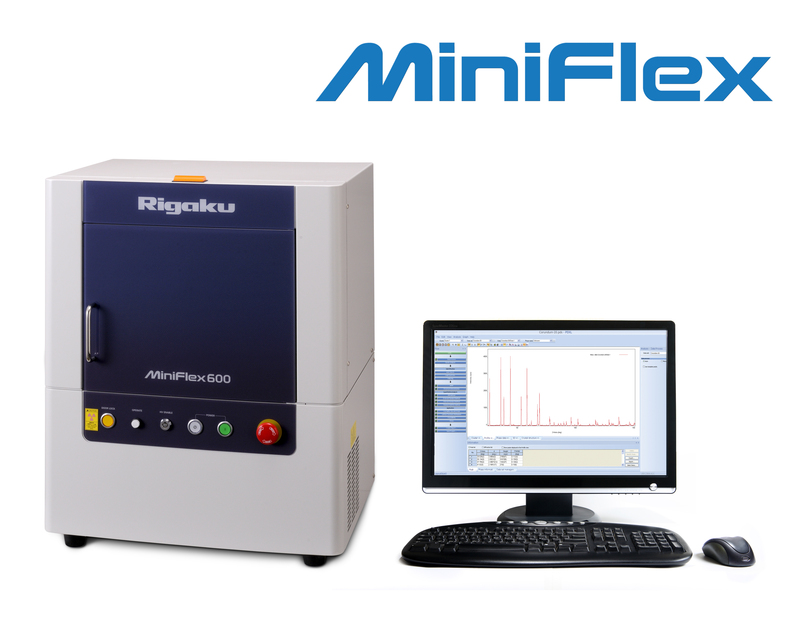 Also featured will be the Rigaku MiniFlex benchtop X-ray diffractometer. Ideally suited for today's fast-paced XRD analyses, the fifth generation MiniFlex is a general purpose X-ray diffractometer that can perform qualitative and quantitative analysis of polycrystalline materials. It delivers speed and sensitivity through innovative technology enhancements, such as the optional D/teX high speed detector, coupled with a 600 W X-ray source. 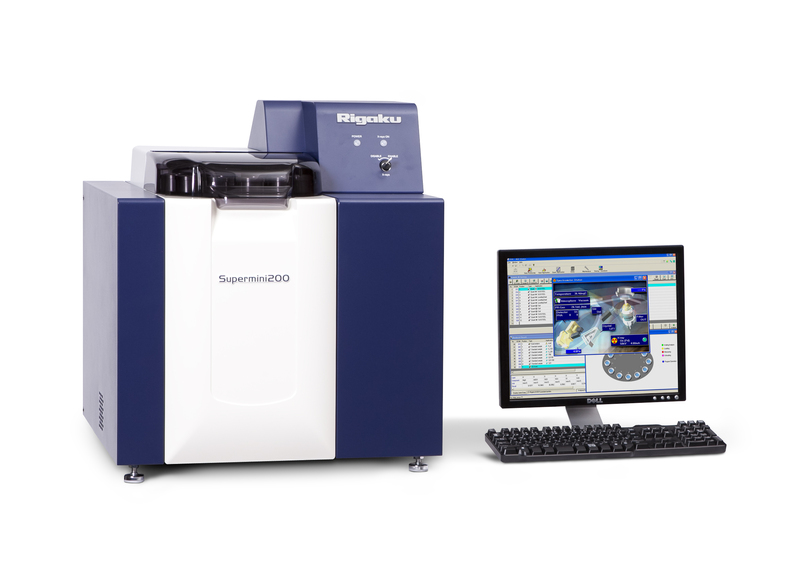 The Rigaku Supermini200 is the only commercially available bench-top wavelength dispersive X-ray fluorescence (WDXRF) spectrometer. It features newly designed and simplified software and an improved footprint. Energy dispersive X-ray fluorescence (EDXRF) spectrometers to be presented include the Rigaku NEX CG Cartesian-geometry EDXRF spectrometer, a powerful analyzer designed to deliver rapid qualitative and quantitative determination of major and minor atomic elements across a wide variety of sample types. X-ray and EUV optics products from Rigaku's Innovative Technology division will be featured as well. Rigaku's multi-layer optics are in use in a broad array of X-ray spectrometers and diffractometers worldwide. Workshops will take place throughout the conference and will include presentations from Rigaku covering topics such as Trace Analysis, Quantitative Analysis, and Two-dimensional Detectors. Since its inception in Japan in 1951, Rigaku has been at the forefront of analytical and industrial instrumentation technology. Rigaku and its subsidiaries form a global group focused on general-purpose analytical instrumentation and the life sciences. With hundreds of major innovations to their credit, Rigaku companies are world leaders in X-ray spectrometry, diffraction, and optics, as well as small molecule and protein crystallography and semiconductor metrology. Today, Rigaku employs over 1,400 people in the manufacturing and support of its analytical equipment, which is used in more than 70 countries around the world supporting research, development, and quality assurance activities. Throughout the world, Rigaku continuously promotes partnerships, dialog, and innovation within the global scientific and industrial communities.